Check out what the girls at Quilt Expressions think about the latest in quilting books. I grew up on a farm in rural Idaho. As soon as the snow melted and the days warmed, my three brothers and I spent every waking moment outside. We invented games using whatever we could find on the farm. We played marbles, climbed apple trees, dug in the sand box, explored the old farm machinery “graveyard,” played baseball in the empty field behind our house, pretended to play school, chased our dogs through apple orchards and corn fields, conquered mountains with those durable old yellow Tonka trucks and rode bikes for hours. It was a great time and place to grow up. 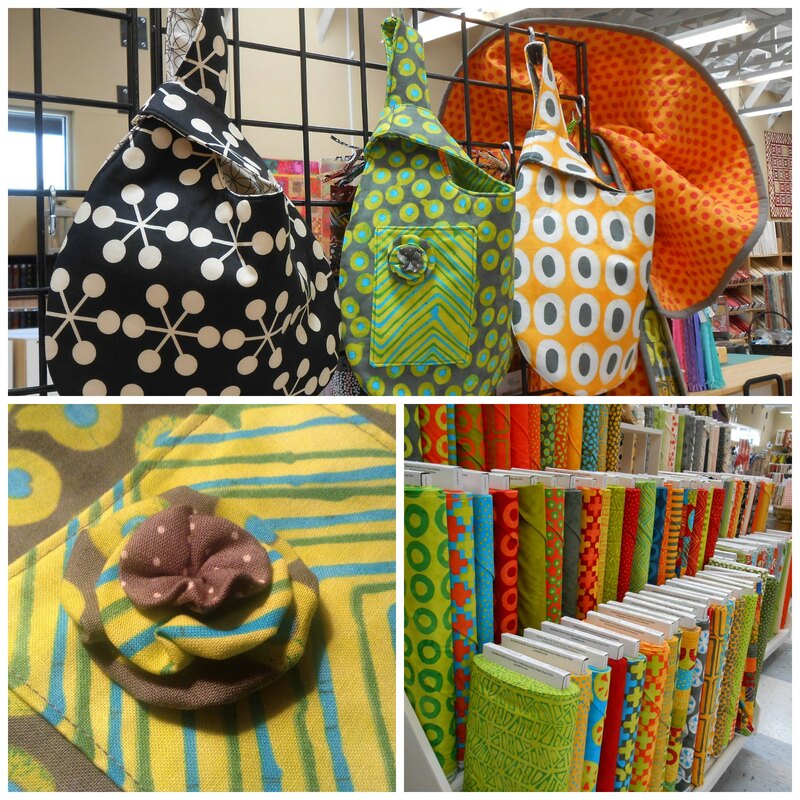 This past October at Quilt Market, we came upon the Suz’n Quilts booth. 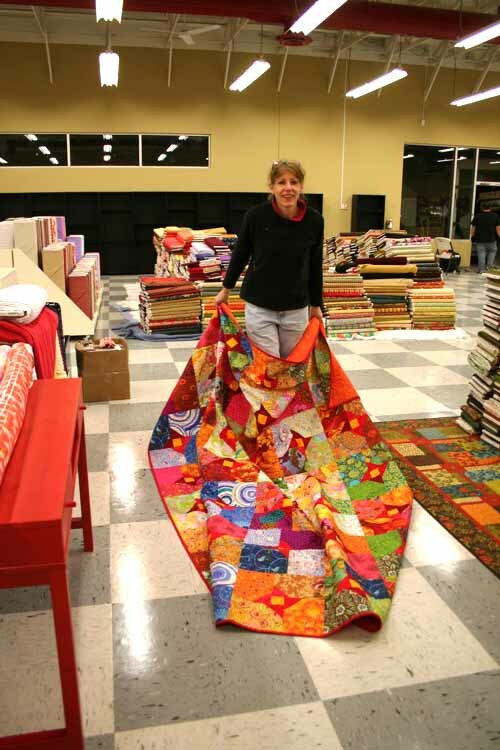 Fabric and pattern designer Susan Marth is the creative force behind Suz’n Quilts. As I admired her “Vintage Play” fabric line, I was reminded of my childhood. A panel showing a boy and girl enjoying the simple joys of childhood brought back memories of our time spent on the farm. I’m not sure I’d consider myself “vintage,” but I sure do love her fabric collection and patterns. 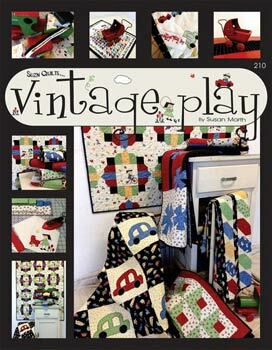 Suz’n Quilts’ book “Vintage Play” contains directions for six lap quilt projects, plus a bonus mini quilt. The patterns make perfect use of the Vintage Play panel and fabric line. Before we get started on this post, I gotta be honest with you. I love writing blog posts, especially about sewing, but I have the hardest time naming them! You want to come up with something descriptive, something catchy, something that will catch your reader’s eye. But, for me, when it comes time to put the title in that little white box, my mind just says, “Nope! Not gonna do it!” As we get into a regular posting schedule here on the Quilt Expressions’ blog, I will occasionally write about what I’ve been working on. From here on out, to make it a little easier on myself, I’m going to title those posts “Whatcha doin’?” It’s what I like to call a two-way question…I’ll tell you what I’ve been working on and I’d love to hear about what you’ve been working on. Let us know in the comment section! Project #1 is the Super Six I started back in July. I’ve attached the striped border and have just one more to add before the top is finished. Project #2 comes from the “Make It Yourself” magazine that we talked about here. The Grab Bag is found on page 64. This bag would be a fantastic gift: it takes just a small amount of fabric, is very quick to make, and has six very handy interior pockets. Bags #2 and 3 were made using the “Stitch In Color” line by Malka Dubrawsky for Moda. 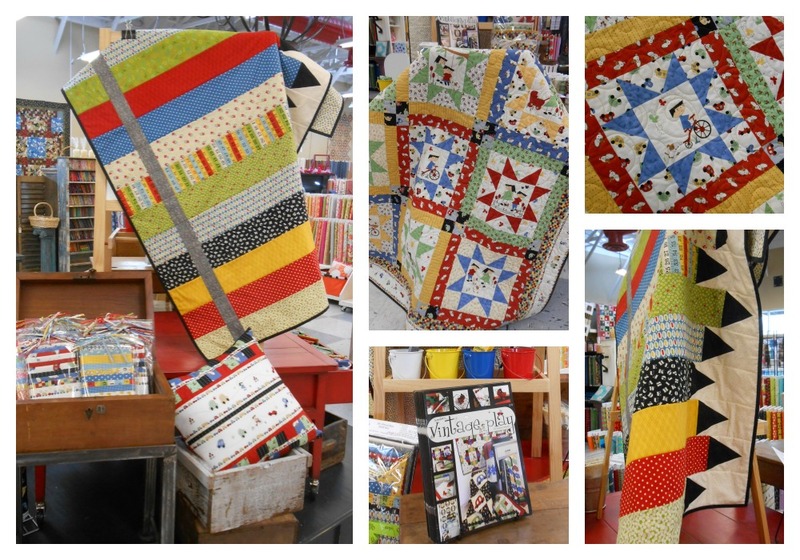 A customer brought in a quilt top this past week made with the “Stitch In Color” collection ~ it was so colorful and fun! The collection is available both in store and on-line (search with keywords “stitch in color”). We’ve also ordered additional copies of the “Make It Yourself” magazine, so stop in soon to get your own copy! Project #4 is not quite finished. I’m thinking ahead to cooler days, crisp nights, and the colors of Fall by spending a bit of time with a Boo Crew charm pack. Check back soon for the completed project! Do you prefer to work on one project at a time? Or do you like to have several going at once? Let us know in the comment section. I’d love to hear from you! I may have only started quilting last fall, but in the past six months I’ve had the chance to worm my way around the world of quilting and figure out what interests me. I approached the world of quilting a little cautiously and heavily leaned in the quick-and-fun purse and accessory project direction. Working full-time in a quilt shop required me to learn the basics though, and as we all saw, I made my first quilt using a layer cake. It was fun and felt rewarding to snuggle up with my finished quilt for the first time, but I will admit I was not yet hooked. In time, something about opening a box of a brand new fabric collection, flipping through the latest quilting book and seeing all the fabulous projects our customers bring in to share with us got me excited to not just sew, but to quilt! So, much like every typical quilter, I dove into a few projects at once. 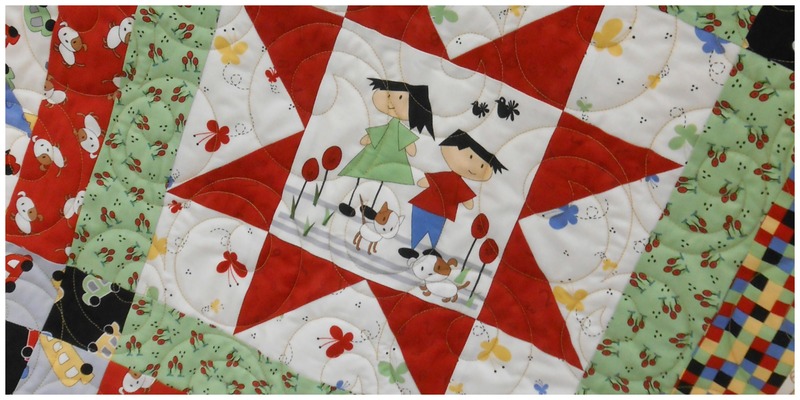 I was first enticed by the idea of liberated sewing — quilting with no pattern — and making an eye-spy baby quilt. I scoured through Karen’s stash for every novelty scrap I could find. And I was off. I sewed the most ridiculously small pieces of fabric together, almost challenging myself to see how little I could go. This process was tedious and slow-going, but I was having fun. I made nearly twenty blocks and decided I was satisfied with my effort. The end result? Well, it was pretty ugly. But that wasn’t the point. I was just playing around with simply putting fabric together in a completely non-uniform way. I haven’t quite decided how to put all the blocks together, but when I get back around to it, I’m sure I’ll have an interesting quilt to donate. Lesson learned? Modern is fun!! Already a fan of funky, bright fabric, enjoying the uniqueness of contemporary quilt making was an obvious next step for me. 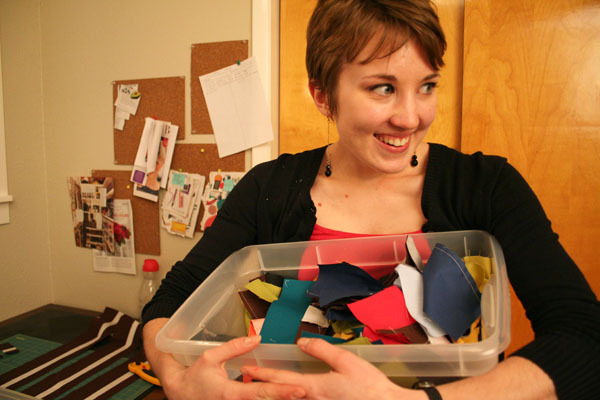 This is around when I discovered my absolute favorite quilt book that threw me into a love affair with solids. 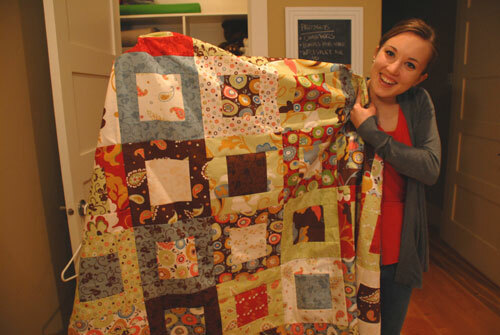 The twelve projects in City Quilts by Cherri House are all perfect. Normally when I flip through a book of quilt projects, I fall in love with some and am lukewarm on others. Not the case for City Quilts. Deciding which project to start with was a difficult decision for me, although I eventually landed on “City Lot” which is featured on the back cover. Cherri’s selection of colors is so harmonious that I knew I had to do my best to exactly replicate each tone and block placement. 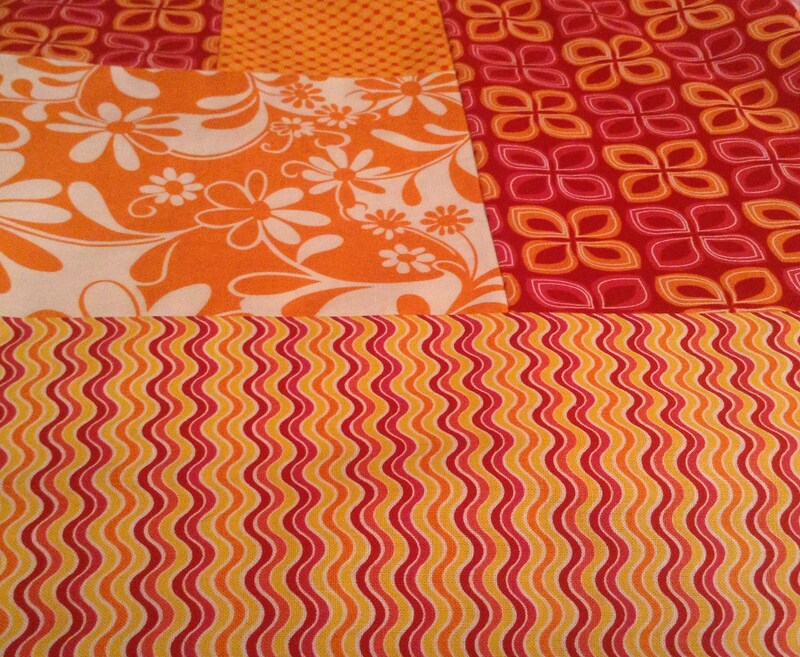 Ok, a bit obsessive-compulsive on my part, but I must have that exact quilt! It took a while, but I think I now have all the perfect colors. 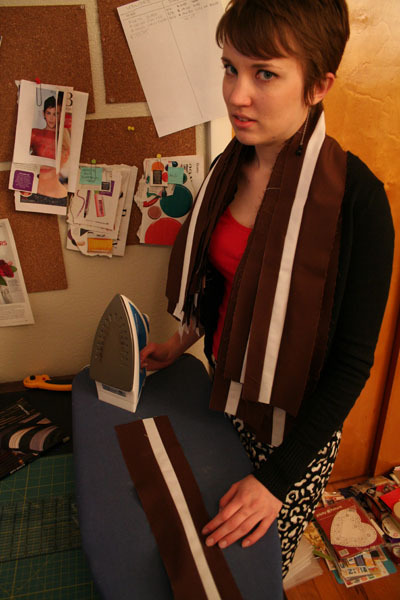 I am so eager to work with the bright colors of the blocks that I am little underwhelmed at having to first sew together 54 sashing strips of chocolate brown and white before I even get to touch a single scrap of bright fabric! Not to mention, once I get all those strips together I have to cut them into over 450 pieces! Clearly, this is the biggest and most tedious quilt I’ve committed to. At least it’s easy sewing and not something like 450 flying geese. Yay for strips! Am I done yet? Seriously, why is there so much sashing? Someone please tell me there's a faster way to do this accurately! 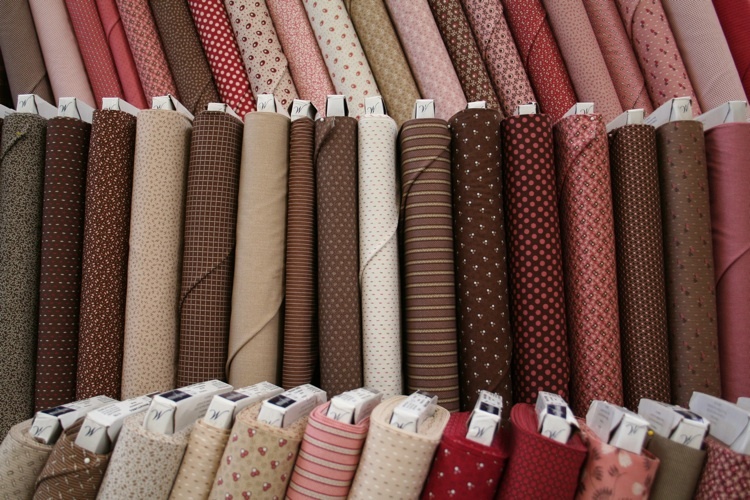 So, what’s the deal with City Quilts? The twelve quilts featured in this book are all inspired by urban themes such as a tall building at night with glowing lights, a city garden with a palette of green and blue hues or a city harbor with interlocking docks and deep blue water. Each quilt is made only with solid fabrics, which highlights the expert balance of color and artistic designs that focus on the whole rather than a single block or technique. The simple and geometric style of each pattern make them great for quilters of all skill-levels and give them a truly modern feel. 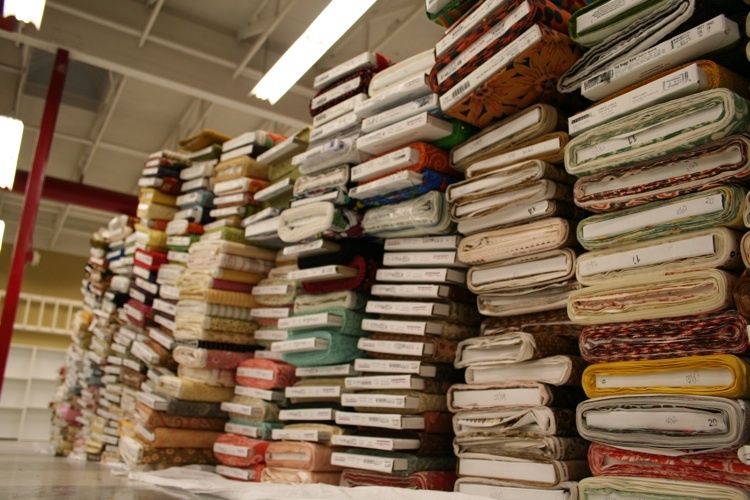 City Quilts is more than just a collection of modern patterns. 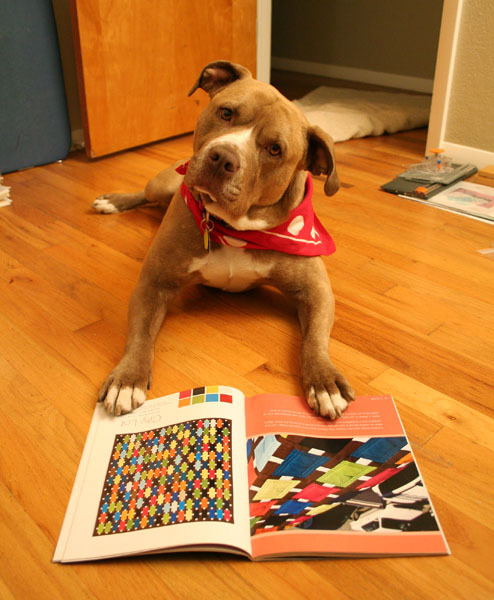 This book is a valuable reference for nearly every aspect of the quilt making process. 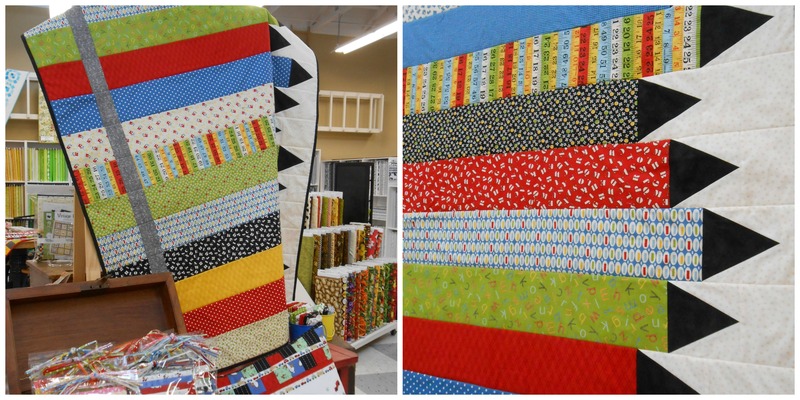 It covers fabric selection and the importance of color and value, changing the feel of a quilt through simple changes to design and construction, how machine quilting adds effect and emphasis to your quilt top, as well as endless advice on the basics of quilt making. 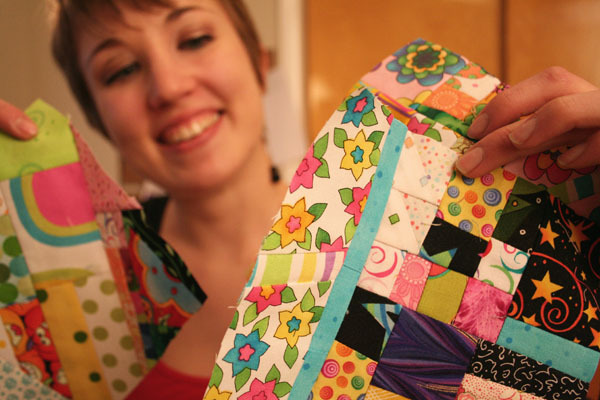 For a beginner, this information is invaluable and crucial in becoming a successful quilter. 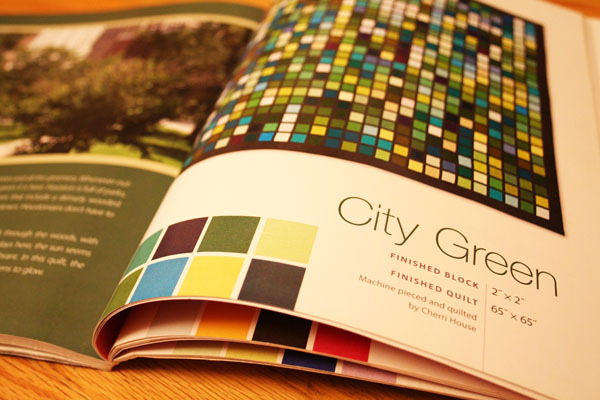 For those more experienced, City Quilts provides a great refresher on concepts that will help you to create your own visually impactful patterns and designs. 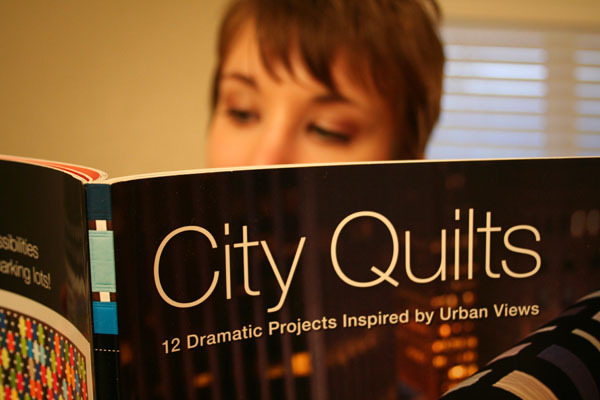 In my opinion, City Quilts is required reading for any contemporary quilter. With much of the design rooted in traditional techniques, I also highly recommend it to any traditional sewer who is looking for a change, challenge or just a great gift for your friends or family. Being a native of Chicago, the patterns and textures of an urban landscape appeal to me greatly and I can’t wait to bring more of these designs into my home here in Boise. Is this quilt for me, Mom? Ok, so I couldn't wait. I had to play with these bright colors. 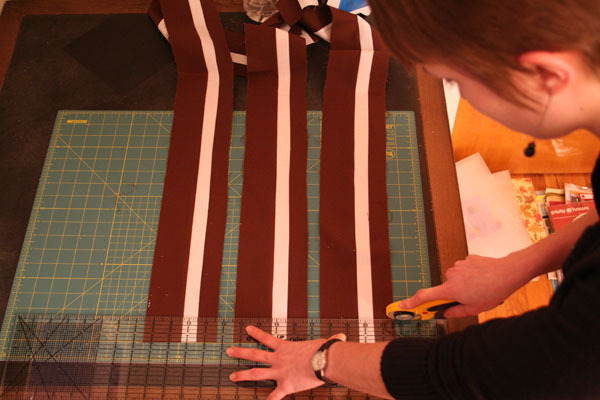 I still have about 400 vertical sashing strips to cut, but hey, why not get all the horizontal strips sewn first, eh? Who else skips ahead to the fun part? Have a book recommendation? Please leave a comment with your favorites so I can check ‘em out and share the love! So, here we are. We’ve landed. The girls at Quilt Expressions have gone digital and there’s no turning back now. 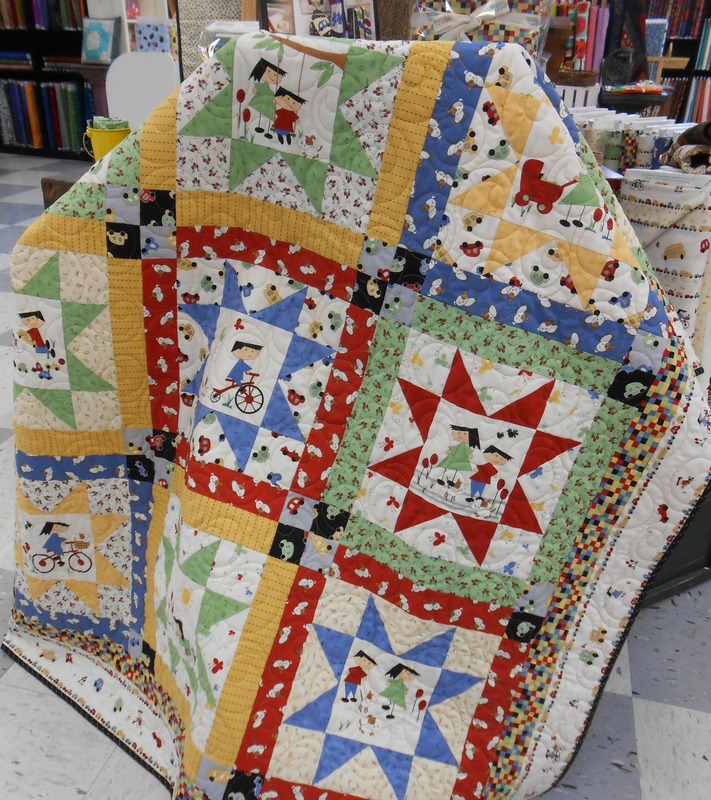 Our fun little group of bloggers are ready to jump into action and will be bringing you new entries every week covering all-things quilting. Look forward to the best sewing secrets, giveaways for our dedicated followers, the latest projects from our fabulous team and an insiders’ peak to our latest fabric collections. You can also spy on what’s going on in the shop, including ideas from our “cookie cocktail” events and the brilliant quilts our friends and customers are working on. Have you heard the news? 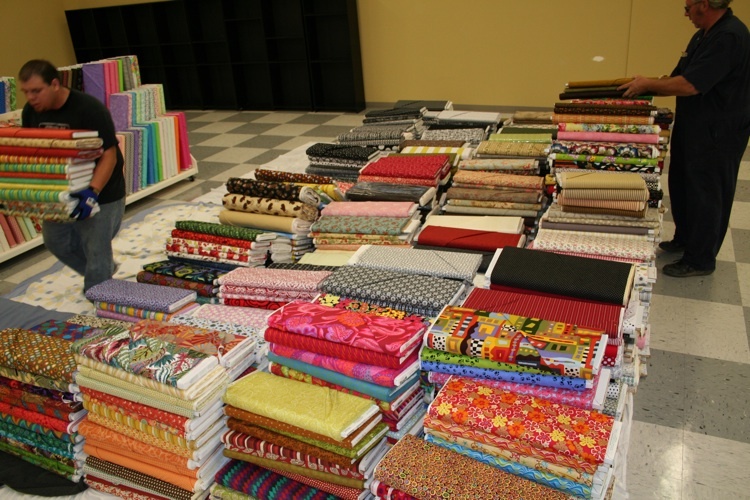 Quilt Expressions has MOVED its location! After a few years in “cozy” quarters, we’ve reached our quilt shop heaven in a spacious 6,600 foot building with mile-high ceilings and skylights that makes the whole shop glow. We’ve barely missed a step in the transition and have all the long-arm machines buzzing along, customers scooping up armloads of newly discovered bolts while we’ve even managed to get several brand-new collections on the floor. Check out our online store to see the latest. 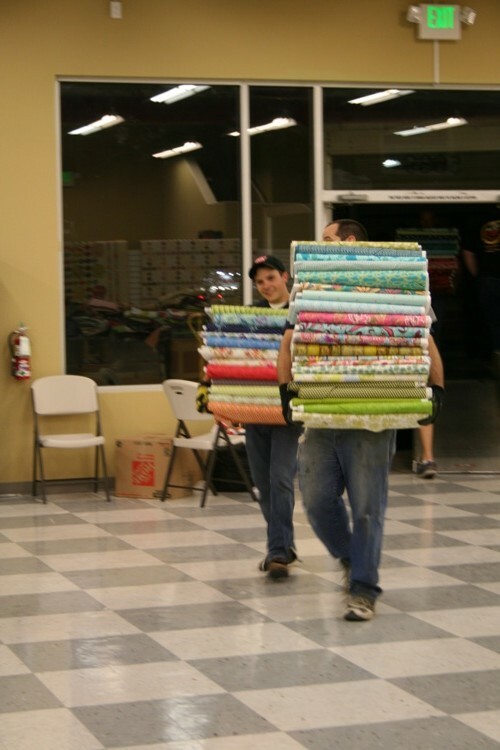 Laying sheets and quilts on the floor, we started unloading our mountain of fabric in good spirits. 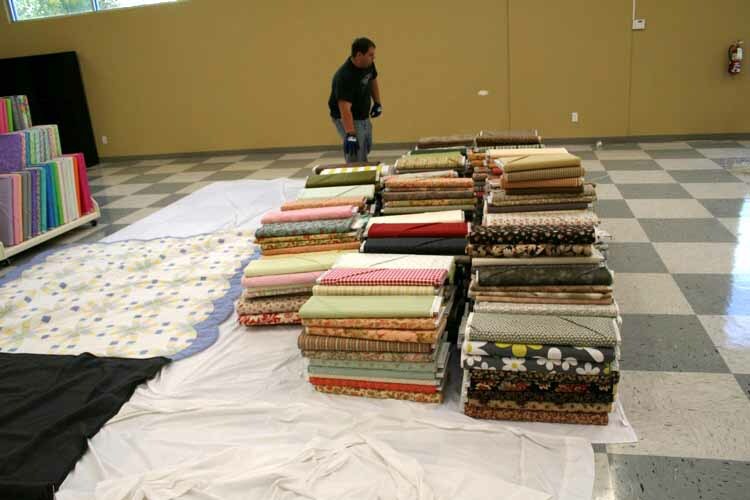 Karen lays more quilts down to make room on the floor as the moving nears an end. The winner! JF carries the most bolts from the truck. Annnd we’re finished. 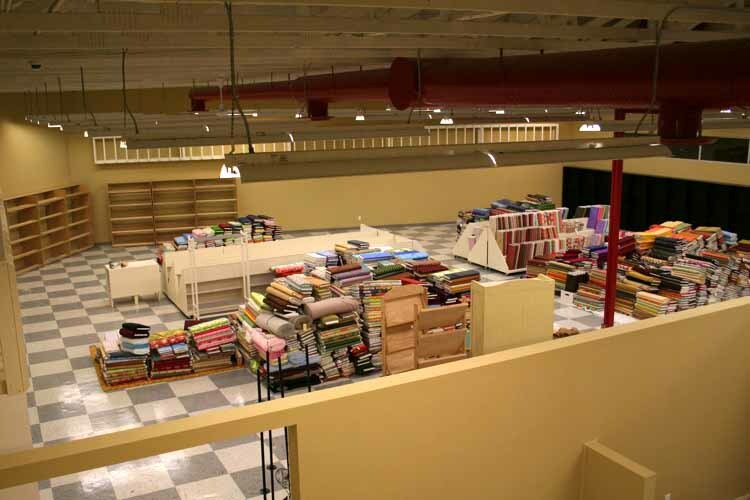 Can you believe this is only HALF of the new store? And now, for the fun part! What’s better than shop talk and witty online banter? Free stuff! Make a comment to this blog entry with your first name and email address and you will be entered to win six fat quarters from the new collection everyone is talking about — Miniatures by Windham Fabrics! Our winner will be chosen on November 1st, so don’t delay. Invite your friends to check us out and maybe they’ll share the winnings if our random number generator favors them over you.